Business studies is an exciting and dynamic course which examines how businesses work internally, and how they respond to changes in the wider world and society. Students learn a range of skills in human resource management, finance, marketing and the organisation of production of goods and services. It is well-suited for students who can write well, have an interest in the world of business and entrepreneurship, and possess reasonable numerical skills. Our pupils will be well equipped to make a valuable contribution to society by developing valuable employability qualities and skills in order to give them the best life chances. Through studying GCSE Business Studies, students gain business knowledge, understanding and skills. They begin to understand current events in local, national and global contexts. They learn how to use relevant terms, concepts and methods effectively to describe business and economic behaviour. Students also consider business ethics and the impact of business on the environment. The study of this course should help to facilitate the study of Business Studies and related subjects at a more advanced level. These courses offer students two years to explore the world of business through an exam-free vocational qualification that is designed to give students a work-focused alternative to traditional A Levels. This qualification has been designed to give students the opportunity to demonstrate and develop the practical application of knowledge and understanding in the areas of work and enable the development of research skills, both independently and in groups. This course introduces learners to the dynamic business environment and the importance of entrepreneurial activity in creating business opportunities and sustaining business growth. Learners will have the opportunity to develop a wide range of essential skills required for higher education and employment. The focus of the course is to nurture an enthusiasm for studying business using contemporary contexts, allowing learners to develop an appreciation of the strategic, complex and inter-related nature of business issues from a local to global perspective. Learners will have the opportunity to develop awareness of contemporary business issues relevant to the local business environment. 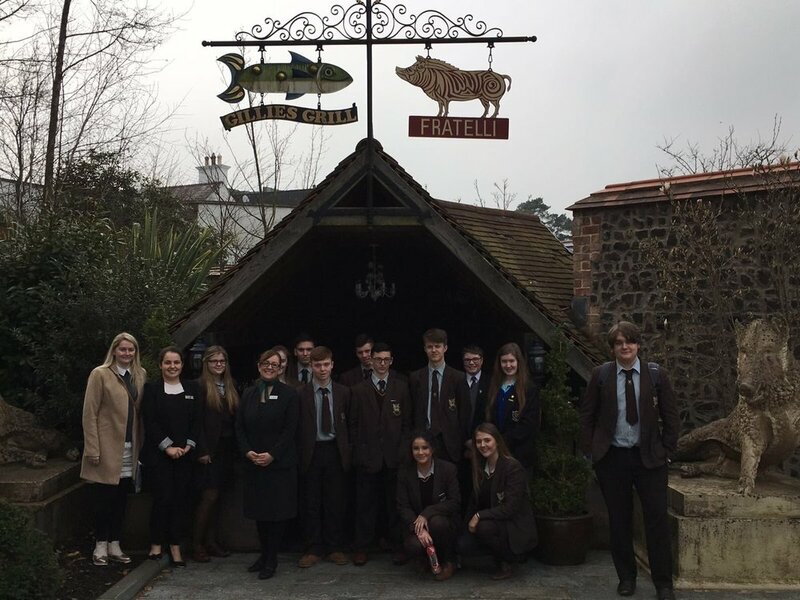 The Business Studies department have visited a number of local businesses to enhance pupils understanding of the subject content and to provide access to valuable real life scenarios which are necessary for the completion of CTEC Units. This year we have visited the Glens of Antrim Potatoe factory and the Galgorm Estate.